The Key: Dallas has been the more consistent team thus far at 3-1 with the lone loss coming by a single point to the defending champs. Portland is 2-2 and neither of its wins are that impressive. The Thunder didn’t have Durant, and the Cavs are still figuring out how to play together. The numbers greatly favor Dallas too. The Mavericks are 10-2 ATS in their last 12 games overall while the Trail Blazers are 3-10 ATS in their last 13 games overall. 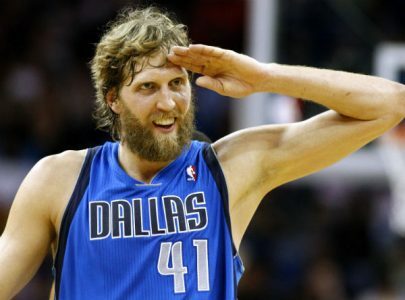 The Mavs are 52-20 ATS in their last 72 road games while the Blazers are 4-9 ATS in their last 13 home games. The Mavs are 6-1 ATS in the last seven meetings and 5-1-1 ATS in the last seven meetings in Portland. Take the points. Thursday has been PAYDAY for Dave and his faithful followers. His Thursday releases are an EPIC 118-73 (62%) since 3/21/13. Get paid w/ his Thursday 3-Play Power Pack!